Just going by the title “Mr Shifty,” you might expect something cute. Little Mr. Shifty. He sounds adorable, right? He isn’t. He’s a thief, he can teleport through walls, and he beats the hell out of a lot of dudes. 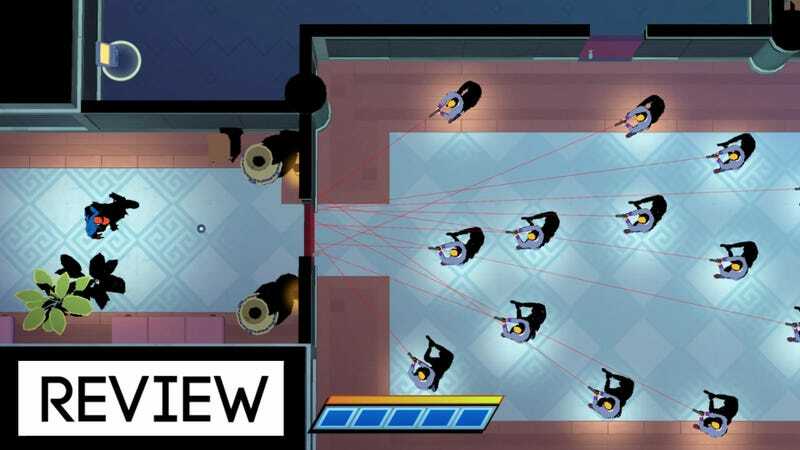 Mr. Shifty is a violent action game for computers and Switch set across the many floors of a crime boss’ skyscraper. I played it on Nintendo’s console. Like many early video game heroes, Mr. Shifty is defined by how he moves, and how he moves shapes the game he’s in. Mario was about jumping, Sonic about running and spinning. Nathan “Rad” Spencer swung from a grappling hook. 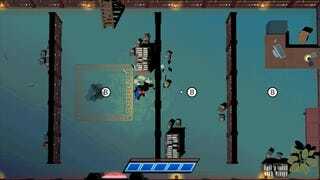 Mr. Shifty’s whole deal is shifting through space, teleporting short distances so he can punch people to death. Across 18 levels, Mr. Shifty shifts. It’s all in service to the thinnest of stories, something about trying to steal some plutonium. It’s really just about shifting. Just one idea, which thankfully feels great to control and expands in some interesting ways. The basic move is snappy, a short swift clap of motion followed by the bang of an attack. Rush an enemy with a shift and then—smack—punch them out a window. Or spot enemies hunkered in a supply closet, warp through the wall behind them and clobber them before they fire a shot. 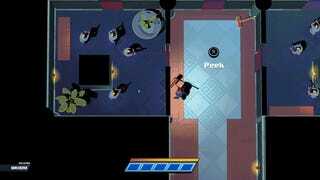 Parts of Mr. Shifty resemble a stealth game. You can, in early levels, sneak and pounce. That gives way quickly to something that feels more like the brutal dance in enemy-filled games like Superhot or the recent Doom, where cover is scarce and the only way to survive is to zip from enemy to enemy, picking them off as you dodge bullets from rest of the crowd. It mostly happens up close, since Mr. Shifty can’t shoot a gun and can’t throw most of the items that drop in the game. He mostly has to shift in close, punch, and shift back out. If Mr. Shifty takes a single hit, he’s dead. There’s a further risk, as well: if he does five shifts rapidly, his shift meter will temporarily be empty, leaving him a slow, easy target. Every level of the game is a floor of a skyscraper. Each floor is divided into rooms that serve as checkpoints, though the game doesn’t save until the level is cleared. Most levels introduce new riffs on the core shifting mechanic. The developers put Mr. Shifty in hallways and boardrooms and in rooms where his powers don’t work. They introduce laser beam traps and turrets and other twists. They pour levels full of tougher and more abundant enemies. There are the pistol guys who are easy to shift right up to and punch, then machine gun guys who are better off flanked, and then enemies with flamethrowers, grenades and other tricks. Each new twist is introduced gradually, with a simple sampling leading to more complicated riffs. Dodge one laser, for example, and soon enough you’re dodging several moving ones coming from multiple directions. It’s well designed, inviting players into the shallow end, letting them wade up to their neck, and then hoisting them out when the level is clear, only to put them in a new shallow end to start the cycle again. Throughout each level, Mr. Shifty dies a lot. He’s weak. He dies in one shot. But each time he dies, the game restarts quickly, inviting the player to try again, just one more time. Even the most clogged levels have their upside, though. 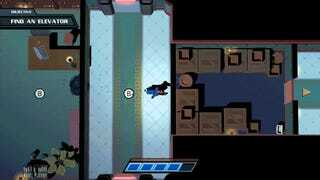 Mr. Shifty will fight through a room that plays like whac-a-mole, if whac-a-mole had an ending. The enemies keep showing up until finally, they don’t. Mr. Shifty has finally shifted and punched enough. He triple-punched the big bruisers, flanked the machine gun guys, and slayed the shotgunners. He punched people into walls and smashed them through glass. Everything is now calm and quiet calm. If the game was stuttering, it’s now smooth. Bodies line the floor. Mr. Shifty stands victorious. The carnage was anything but cute, but it sure was satisfying.